Car racing has been one of the most popular events among the people throughout the world. Whenever there is a show of racing cars it has been seen that the galleries are packed with audience. The excitement is boosted when it comes to the racing of super cars. The whole place is filled with the sound of the raging cars and the people shouting with excitement. But mishaps can happen at these places too. Such an incident recently took place in Poland. The accident injured at least 17 people. 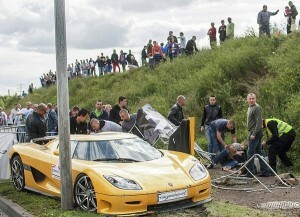 The incident happened when a driver lost the control of his vehicle and crashed into the audience. He was driving a Koenigsegg. The driver was driving his car at great speed through a road that was closed off. The road was too close to the people who have come to see the super cars race. 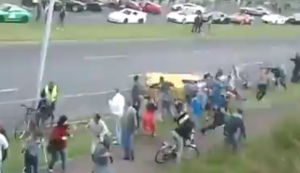 Suddenly the car hit a curb and jumped into a group of people. It spun about 180 degrees before it landed over the spectators. There were even children in the group. Let’s have an overview of the whole incident that took place. Reports that came from the spot of accident said that almost seventeen to nineteen people were injured. Among them four people are fighting with death. Five among those who were admitted to the hospital have been released after giving primary treatment. The remaining who are still admitted in the hospital, now out of danger and are in a stable condition. The best thing is that no deaths have been caused due to the incident. The driver who is responsible for the incident has been interrogated by the Polish authorities. He has confirmed that he has experience in driving sports cars. The reason behind the crash is being investigated is being investigated by the authorities. Have you ever thought that innovations to some extent are good! But, when innovative ideas turn into something called ‘childish’ then you may surely give it a thought as to why is this being done. The same thing will shock you when you hear this about Lego making 6 Ferraris for Shell and it will be given on getting gas filled at Shell. Well, Shell going hand in hand with Ferrari to create something which brings our childhood memories back is childish but even odd at the same time. The reason behind this offer is merging of three well-known companies Shell, LEGO and Ferrari. The offer is that Ferrari has introduced 6 of its famous racing cars known very well back in the past and launches it with Shell for a nice sale. These limited edition cars will be given to only those customers who will come and fill fuel and gas at the Shell gas station. The first benefit will be experienced by Shell, since it is going to have a long queue of people coming to fill gas and also taking those 6 miniature cars by Ferrari. This offer is the best way to get maximum customers to the gas station. Secondly, Ferrari is going to get most of the publicity because of its merger as well as innovative idea of selling such cars at a gas station because local stores charge for it whereas there it is free! Finally, LEGO takes the credit because they are the ones who are going to manufacture these mini Ferrari models to catch your attention. We have become so big but still just small mini Ferrari car models famous back in the past are making us fall for it. It’s truly said that being crazy does not have any age because it’s done to have fun. Every being own cars in this modern era where luxuries have become necessities. With people becoming more conscious about the possessions they own, the latest expensive models of cars are being in demand. Also, the facility provided by the huge brands like Nissan, Audi and Toyota to make the purchases on the credit or instalment payment basis have made it easier for even the common men to own the cars of their dreams. However, as much as the purchasing procedure has been made convenient for the people, the maintaining cost of these braded vehicles cost a lot to the people, hence demanding lots of their investments. Nevertheless, the facility of general insurance for cars has been provided by the financing companies in every country to provide the financial relief to the people in case they encounter with any damaging situation for their cars. Complete car insurance consist of the protection to the cars against the accidental factors and other reasons that have been mentioned in the policy. As there are many car insurance policies that are being offered by the financial institutes to the owners of vehicles, one can choose the plan that suits his needs the most and hence claim the money at the time of any damage being caused to their cars? These policies work as an aiding instrument and save the person from going into financial crises due to the road accidents as one simply have to pay the short instalments and then can enjoy getting the money in bulk as and when required in time of the crises related to one’s vehicle that has been insured. General auto insurance is a good way to ensure that you and your expensive vehicle is taken care of from untoward accidents and damages. Auto insurance helps to safeguard the huge amount of money that is invested in best vehicles. 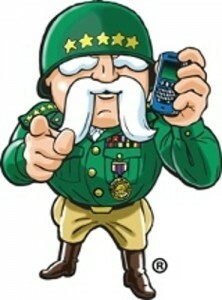 At the same time, a general auto insurance policy is expensive. There are many kinds of auto insurance policies that are available in the market. One needs to use their discretion as well as their budget in order to arrive at the right insurance policy as per their needs. There are general auto insurance policies that are fully comprehensive. Even though such a policy might be more expensive it is a widely adopted form of auto insurance. That is mainly due to the fact that it provides all kinds of coverage for different cases like accident, theft, wear and tear and others. There might be times when an accident might occur which was not for your fault but the other driver may not want to disclose his or her insurance details. Even in such cases, if one is holding a comprehensive program, they can register a claim. In certain cases, a comprehensive insurance policy might not insure hundred percent of the value of the car but only eighty percent of its value. There are certain auto insurance policies that are for third party or for fire and theft only. Such kind of insurance policies is taken up by those who have finished paying up their car loans but cherish their car and have sentiments attached to it. In such cases the policies are akin to the fully comprehensive policies but are not identical. In case of theft or accident and even fire the insurance policies will cover the cost of the vehicle but in case of accidents that are not your fault, you might not be able to make any claims. General auto insurance is a good way to ensure that you and your expensive vehicle is taken care of from untoward accidents and damages. 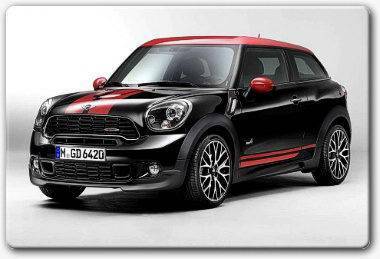 The 2014 version of the JCW Paceman somewhat rekindled one’s faith in the John Cooper Works brand. 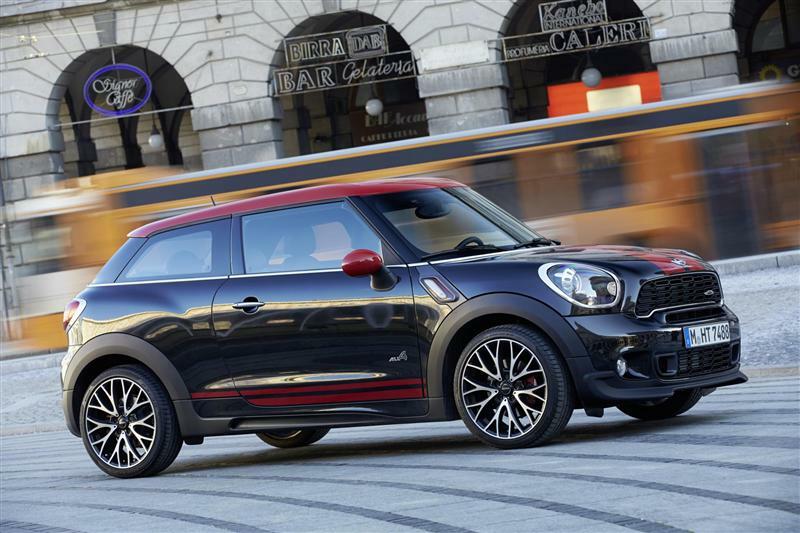 The Paceman is a beauty of a machine and has again interested buyers into looking into the JCW portfolio after products such as the JCW Countryman threatened to almost tarnish the company. The Paceman is not only quicker and lighter than the Countryman, but also looks really good. The JCW Paceman is fitted with the 1.6 liter 4 cylinder turbo charged engine and provides an output of 215 horsepower and 221 lb – ft of torque. Added to the combination of an all wheel drive and 17 / 18 inch Pirelli Sottozero Winter 210 series 2 tires, the vehicle manages to provide a great thrill to the drivers and is also extremely smooth to drive. Moreover, the Paceman seems to thrive off the electronic assist steering which made the other models manufactured by JCW suffer. It is also able to offer much better directional stability than all other previous models. The Paceman found all across America comes with a more rigid and lower sport suspension and is still some way from the ones found in Europe which are the closest to representing an extremely dynamic powerhouse. Finally, the Paceman boasts of top speeds of 127 mph and its pliable sidewalls greatly help with noise reduction. Perfectly placed Mini Accessories and Parts from CARiD.com only elevate this authentic effect. The interiors of the JCW Paceman have also been completely refurnished. One can now expect a cute interior giving out a sporty look with its red colored detailing. The power window switches have also been relocated to the doors and the interior feels much more functional and compact. Priced at about $36000, the Paceman has been interesting numerous buyers into buying it. Why did the Americans rely upon small cars? Fuel consumption is a matter of concern for many Americans. 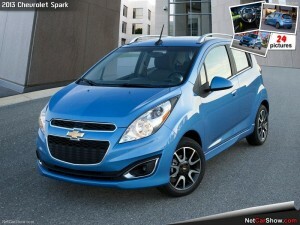 Throughout the years, they relied upon small sized cars in order to keep up with the ever-rising gas prices. However, that traditional trend appears to be reversing the passage of time. 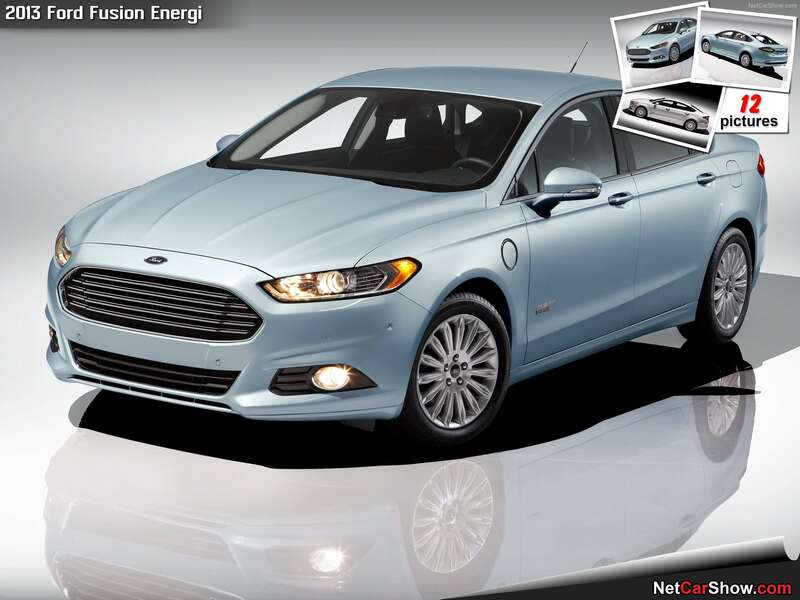 The statistics released by various automobile unions are pointing to the fact that more and more Americans now prefer to own a mid-sized sedan that offers high fuel efficiency. People hold on to the age-old conventional thought systems that big cars tend to offer low mileage. The technology incorporated into the automobile sector has been evolving throughout the many years. We now have access to large cars whose mileage we can compare with their smaller siblings. The gasoline prices will remain high and it will only rise in the times to come. For the very first time, the automobile companies are reporting that they are experiencing sluggish sales with their small cars. At the same time, they are reporting a surge in the sales of the large or mid-sized cars from their stables. For the sake of illustration, the sales of the Honda Fit and Toyota Yaris fell more than seven percentage in the past few months. At the same time, the sales of mid-sized cars from the two companies rose by more than eight percentage. 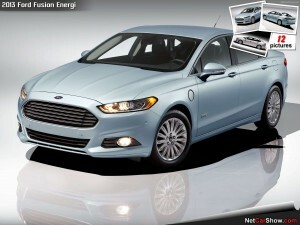 Mid-sized cars such as Ford Fusion and Honda Accord are once again finding favor in the minds of the average American. Throughout the past few years, both of the companies have done their share of homework in augmenting the mileage of both of these mid-sized cars. How does improving the fuel efficiency of their mid-sized cars enable in accelerating the overall sales? There used to be a period when compact sedans were in charge. Many of the mid-sized cars that are available today boast of higher mileage than the majority of the compact sedans that are available more than five years ago. In addition, some of the later studies indicate that the consumers adapt themselves very well with the sharp rises in the gasoline prices. Previously, there existed an unthinking reaction to such sharp rises in the gasoline prices. One should also bear in mind that the sales of mid-sized trucks are also accelerating these days. A recent study indicated that the sales of mid-sized trucks rose by 10.7 percentage to 11.9 percentage during the past one year itself. Ironically, the sales of vehicles that help people to save money on gasoline reduced drastically. 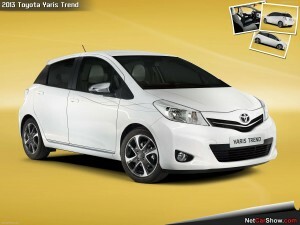 In fact, the sales of vehicles such as Toyota Prius fell by more than fourteen percentage according to some estimates. Automobile analysts also hold on to the opinion that people are taking much informed purchasing decisions because most of them with their share of homework on the Internet before visiting the showrooms to buy a car. One can find great cars with proven track records within this range. 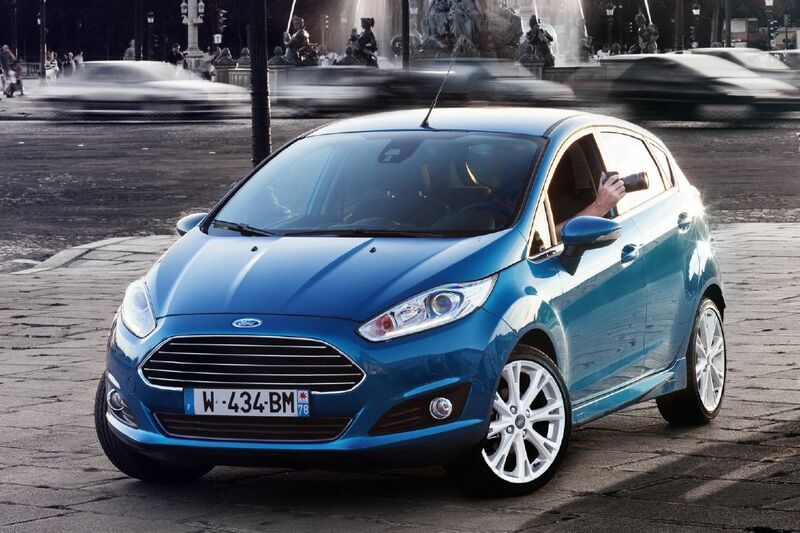 The first car which comes to mind is the Ford Fiesta with a base price of $13200. It boasts of a mileage of 29 for city driving and 39 for highway driving. The main features include tilt steering wheel from CARiD.com, audio systems with input jack, 7 air bags, intermittent wipers and air conditioning. 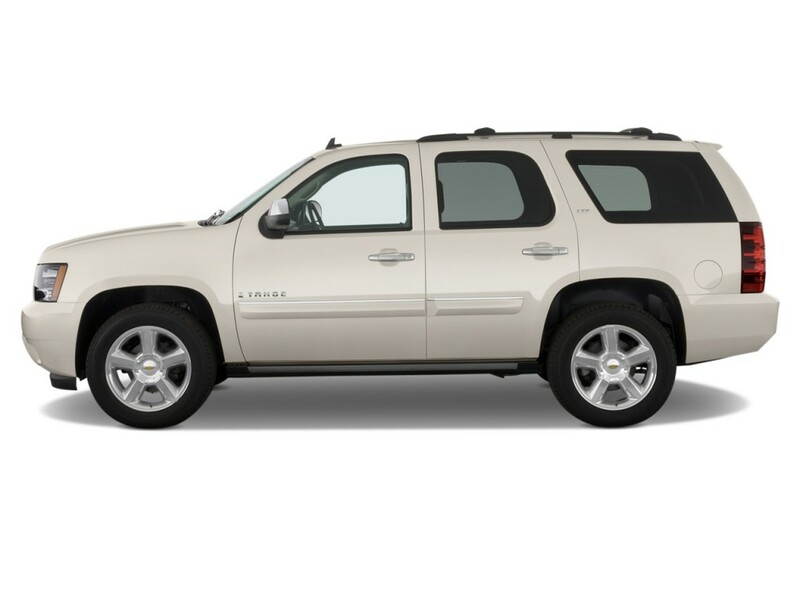 One of the main disadvantages is that the base version does not come with power windows or locks. The main USP of the car is that it offers an extremely pleasurable drive and the interiors are quite good for the price. However, the rear seat may feel a bit cramped for some. 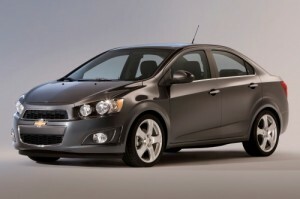 The second option is the Kia Rio. 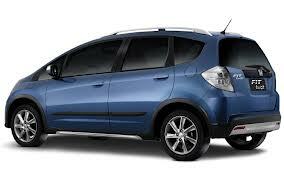 It comes with a mileage of 29 for city drive and 37 for highway driving and is likely to have a base price of $13600. Its main features include Bluetooth, steering wheel mounted audio systems, tilt steering wheel, air conditioning, 6 speed transmission and intermittent wipers. The biggest advantage with the car is that it does not compromise on style in any manner. One can find great cars when looking for options in this range. The most popular vehicle in this category is the Chevrolet Sonic. It comes with a base price of about $14200 and provides a mileage of 26 / 35 m.p.g. The main features include Bluetooth, audio systems with jack, 10 air bags, power door locks, air conditioning and steering wheel mounted audio controls. The biggest selling point for the Sonic is its amazing interiors. Other options worth checking are the Toyota Yaris, Hyundai Accent and the Mazda 2. With average prices of automobiles rising up to $30000 in the last year, most of us were wondering what options are available for the budgeted person. As a result, we have listed a few options in the $15000 range. These might not get the tires to burn but feature impressive safety records as well as basic standard performance and equipment. All of these models also have proper stability controls, suspension tunings, anti lock brakes and air bags. There are three cars in this range which might not boast of out of the world looks but are extremely reliable and dependable. The Nissan Versacomes with a base price of about $12000 and also gives a very good mileage of 27 in city driving and 36 in highway driving. It features basic audio systems with audio jacks, spare tires, 6 air bags, tilt steering wheel and air conditioning. However, those expecting power windows and locks, Bluetooth etc. are likely to remain disappointed unless they go for the higher models. One of the main advantages of the Versa is its unusually airy interior. The Chevrolet Spark is another car which comes with a base price of about $12200 and provides an even better mileage of 32 in city driving and 38 in highway driving. 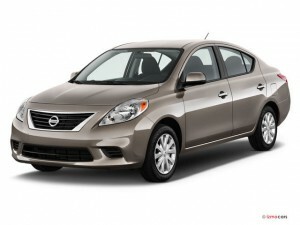 It features all the basic features included in the Versa but also comes with an additional 4 air bags. A unique aspect about the Spark is its 5 door style which not only provides a lot of convenience but looks quite good as well. Maybe you have the feeling and thoughts that car insurance would never change that often. In this regard, you are wrong. In fact, car and auto insurance is simply like fashion, movies, and politics. This has proven the people, particularly the drivers that insurance undergo frequent changes too and this has been made possible by the insurance providers themselves. Changes have also been done basing on the individual differences of car owners or car drivers. Before, car insurance providers often come with similar rate given to all drivers. So whether you are young or old, you get the same rate as what the other driver gets. This also works true even when particular type, make or year your car has. However, in the present days, insurance rates are now commonly calculated. Each policy is customized depending on the different details and information of a driver. Each of these details and information can possibly put then price up or down. One of the disturbing things in car insurance policies is the tremendous rise of decent policy. With the skyrocketing prices of these so-called decent policies, many drivers find it hard and difficult to get a good kind of policy. Most of the drivers today can get the minimum coverage. However, those drivers that are well-off are the only ones to get the full coverage from their insurance policy. In a way, the number of young drivers has also escalated during the past few years. With this picture, many car insurance providers have made it possible to take advantage of this kind of setting by offering different offers to student drivers such as special quotes, payment options that are flexible, and so much more. What is really great is that availing this kind of insurance for younger drivers is not that hard or difficult at all. An applicant may just have to present any of the following requirements to get himself qualified: proof of age for 16 to 21 years old applicants, proof of identification, and driver’s license. For those who own classic cars, one of the newest offers of car insurance companies is the so-called part specific coverage. This kind of insurance aims to double insure specific parts of the classic car that needs to be insured because they are simply valuable and priceless. The bad news for auto and car insurance owners is that rates tend to go up continuously in most states soon.